Hartford County Bail Bonds offers the most professional and affordable bail bond service in the county since 1997. Several of our Hartford bail agents reside within the county. Many speak Spanish and all are available 24 hours, 7 days. When you need a bondsman in any town within Hartford County call us and ask for the lowest fees available along with the best payment plans to finance your loved one’s bail bonds right now. All bail bonds in Hartford are possible day or night. Honest and affordable bail agents are always nearby so they can help immediately. 3-D Bail Bonds is proud to be serving the local Hartford community and all neighborhoods 24 hours a day, including weekends and holidays. Our experienced bail bondsmen and bondswomen are knowledgeable and come highly recommended. They’re friendly, respectful, professional and confidential at all times. In an effort to assist during this difficult time, we have listed the telephone number and provided a link to each local Police Department and Courthouse in Hartford County. We suggest you contact us prior to calling them so that we can help guide you through the bail process. 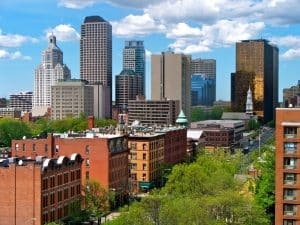 Why Choose our Bail Bonds Service in Hartford County? Bail bonds in Hartford County can be easily found by looking online or by asking a friend or a police officer. Finding the right bail bondsman with the experience and discretion you may desire is another story. Some may not be honest or discrete, we often hear stories of customers who had a bad experience and often doubt the bondsman’s good willing. 3-D Bail Bonds has twenty-two years of service and reputation processing bail bonds in all of Hartford County. Dealing with a bail bondsman should be the easier part when facing a criminal charge. Our bail bondsman is there to be on your side, to secure your fast release from any Hartford jail twenty-four hours, seven days, 365. To learn more about how we process bail bonds in Hartford county visit our website.